Mendenhall Glacier is named for Thomas Corwin Mendenhall (1841-1924). Among other things, this Ohio born physicist and meteorologist served as an original faculty member of Ohio State University, helped found the Seismological Society of Japan, was a superintendent of the U.S. Coast and Geodetic Survey, and served on the Alaska Boundary Commission. The Mendenhall Glacier Visitor Center was the first US Forest Service visitor center to be built in the United States. It was dedicated in 1962 and is the only visitor center in the country that is within a mile of a terminal glacier that calves icebergs into a lake. On an average annual basis, the Mendenhall Glacier Visitor Center gets around 500,000 visitors. Many of these visitors arrive on cruise ships in the summer. Since 1958, which was the year that Mendenhall Lake was created, Mendenhall Glacier has receded approximately 1.75 miles. It is estimated that the glacier has receded approximately 2.5 miles since it began retreating in the mid-1700s. Due largely to an increase in average yearly temperatures, it will continue to retreat in the foreseeable future. Much of Mendenhall Glacier ice is blue. Glacial ice absorbs all colors in the spectrum except blue, and thus it transmits the color blue. The Mendenhall Glacier's fame as a tourist attraction is largely tied to its accessibility. You can find this 12-mile-long body of ice only some 13 miles from Juneau, and tours of the glacier are very easy to arrange in the Alaskan capital. Mendenhall Glacier is one of nearly 40 glaciers that flow from the Juneau Icefield. This icefield covers more than 1,500 square miles and runs all the way from the Taku River up to the town of Skagway - a distance of approximately 90 miles. From the Juneau Icefield, the Mendenhall Glacier extends to its ending point at Mendenhall Lake. This glacial lake began to form about 1900 and is drained by the Mendenhall River. The river is about six miles long and about one mile of it is whitewater. This makes is a popular river for rafting, which is commonly done during the main Alaska tourist season - May through September. You can see Mendenhall Glacier in a variety of ways. One of the best is a helicopter glacier tour. On these tours, guests have the chance to take in amazing mountain and glacier views from on high. They also usually get to experience a glacier landing, and it is common for the tours to include dog sledding adventures as well. The main period for Mendenhall Glacier helicopter tours is May through September, and popular starting points include Juneau, Skagway, and Petersburg. Many of the tours are offered as cruise ship excursions. Either way, bad weather can be a cause for cancellations, although overcast days create the best views. Since Juneau is the closest city to Mendenhall Glacier, it is where many glacier-bound tourists choose to begin their adventures. Guided and unguided, glacier tours that originate out of Juneau often include a visit to the Mendenhall Glacier Visitor Center. This year-round visitor center is part of the Tongass National Forest and is just 12 miles from downtown Juneau. The Visitor Center can be reached by car, the city bus, taxi, or a tour bus. As is true of many of the helicopter glacier tours, the tours that include a Mendenhall Glacier Visitor Center visit are often part of cruise ship excursion packages. Many Alaska cruises highlight the Mendenhall Glacier, from large liners that can accommodate a few thousand passengers to small ships accommodating as few as a dozen. 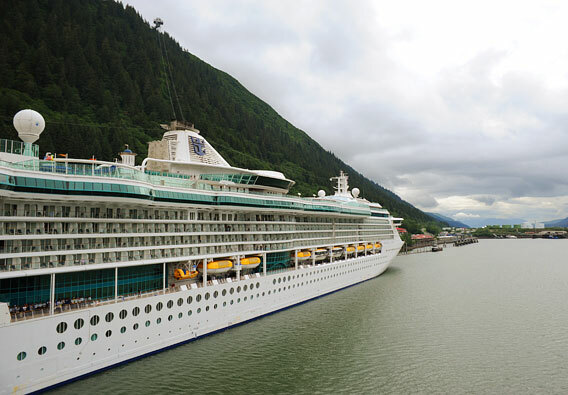 The main Alaska cruise season is May through September. Those who wish to take in Mendenhall Glacier views from the water can also consider a float trip or a sea kayaking tour. Float trips usually employ Zodiak-type rafts that hold between 8-12 people; kayaking tours typically use two-person kayaks for their adventures. The use of these kinds of watercraft allows for a closer look at the glacier than would otherwise be enjoyed on a larger cruise ship. 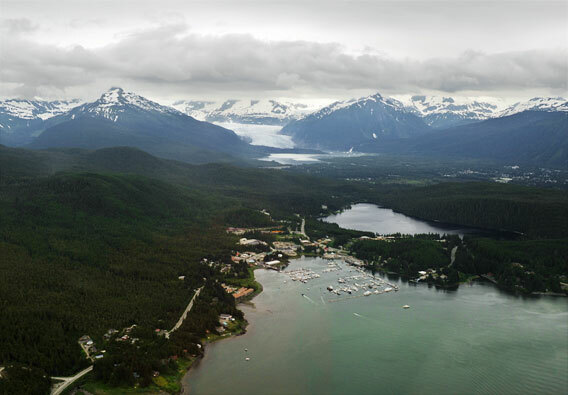 A Sitka side trip is a good option while in the Juneau region. Located 100 miles south, the city is known for its rich history. 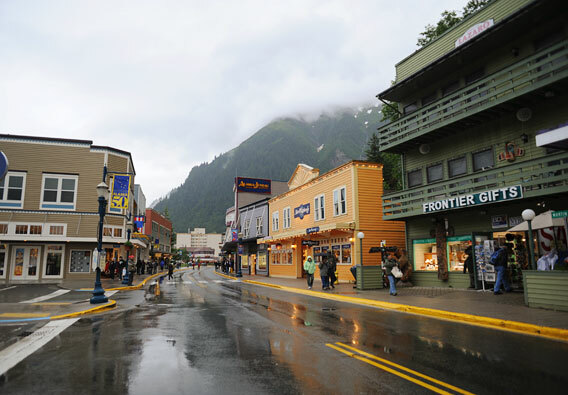 No less than 22 of Sitka's buildings and sites are listed on the National Register of Historic Places, and the city was Alaska's capital from 1867 to 1912. Activities to enjoy outside town include hiking, fishing, and tours highlighting the area wildlife. You can also visit the Alaska Raptor Center, which takes in injured birds of prey. 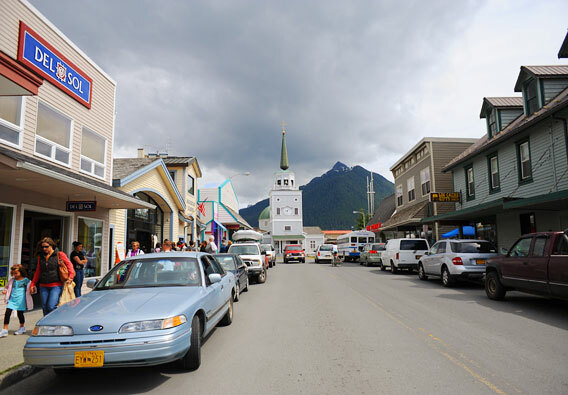 Sitka's shopping scene includes a number of excellent shops and galleries downtown, especially on Lincoln and Harbor Streets. 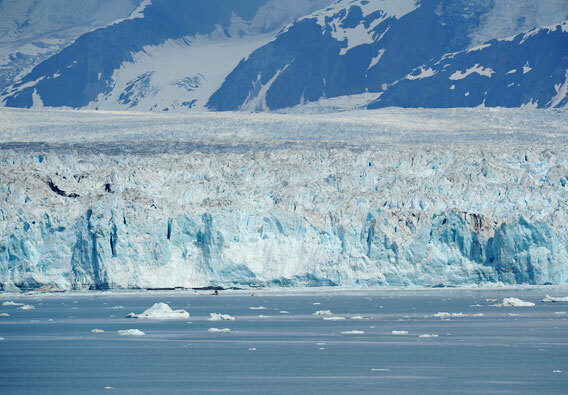 Another point of interest for southeast Alaska visitors is the Hubbard Glacier. Unlike so many of Alaska's glaciers, this glacier is advancing instead of retreating. Other interesting facts about the Hubbard Glacier relate to its size. The longest tidewater glacier in North America, it runs a 76-mile route beginning on the slopes of Canada's Mount Logan and ending at Alaska's Disenchantment Bay. Before it enters the sea, Valerie glacier joins it. The most popular way to visit the Hubbard Glacier is on a cruise of some kind. Many of the cruises that pay the area a visit are included in multi-faceted Alaska vacation packages.